Trying to find a unique and fun gift for kids that enjoy playing outdoors and are fascinated by nature? 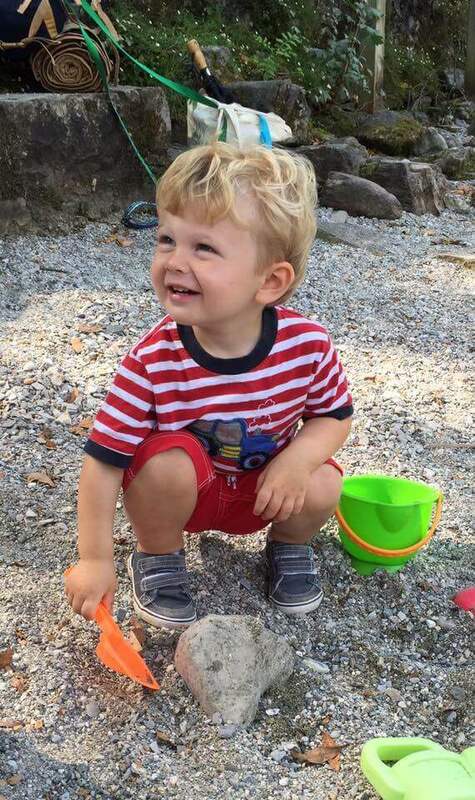 Our son’s love of the outdoors and nature started when we were living in Germany. The forests were close by and our town offered a waldkindi (or forest preschool). 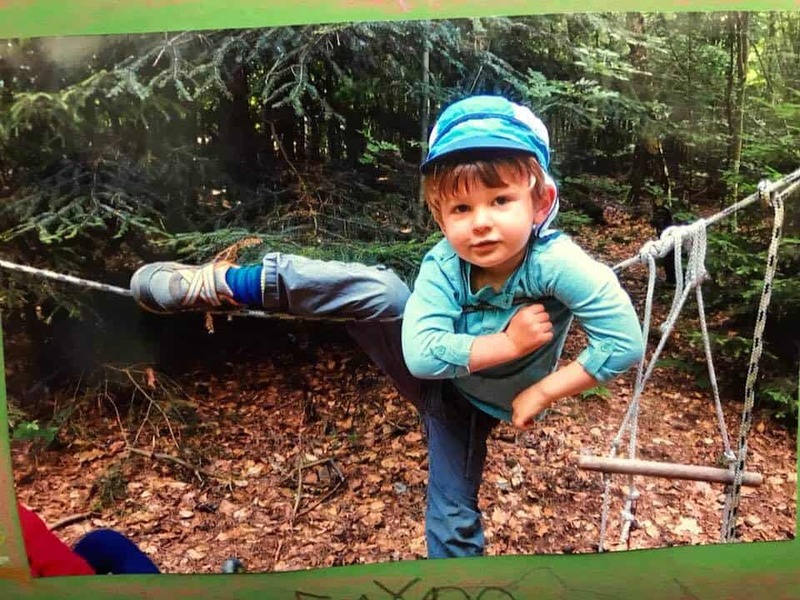 He would spend 3-4 hours every weekday playing in the forest with his friends. No toys, just tools, paint, rocks, sticks, and rope. They had an amazing time each day! 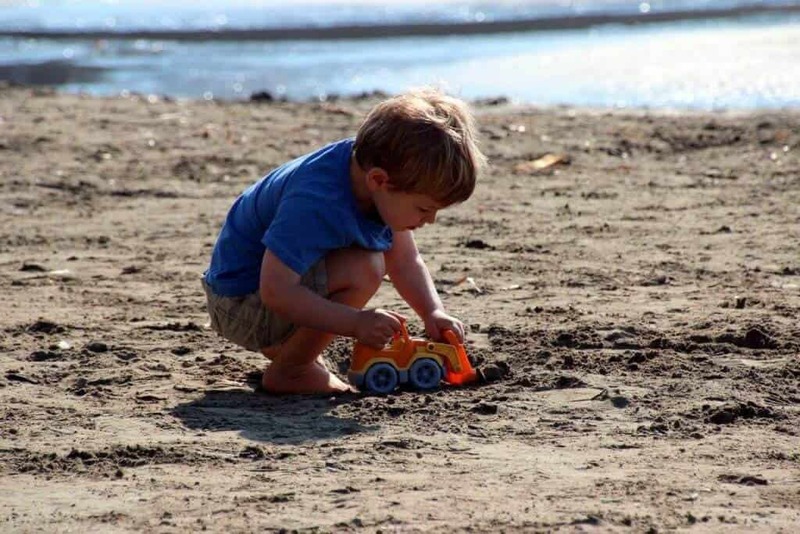 When we moved back to the US, we knew we needed to continue his passion for outdoor play. My son in the waldkindi in Germany. I’ve compiled a list of my son’s favorite outdoor “toys”. They aren’t really “toys”, they are more tools that he uses to engage in the world around him. They pair perfectly with his little backpack for a quick adventure. This list is best for a toddler to an early elementary student but could be easily adapted to younger or older children. Binoculars– We actually purchased a pair of binoculars for our trip to South Africa when our son was 2.5 months old. We wanted to engage him with the animals on our child-friendly safari trek. They’ve since become one of his favorite items. We picked up our pair in Germany, but there are lots of great options here. 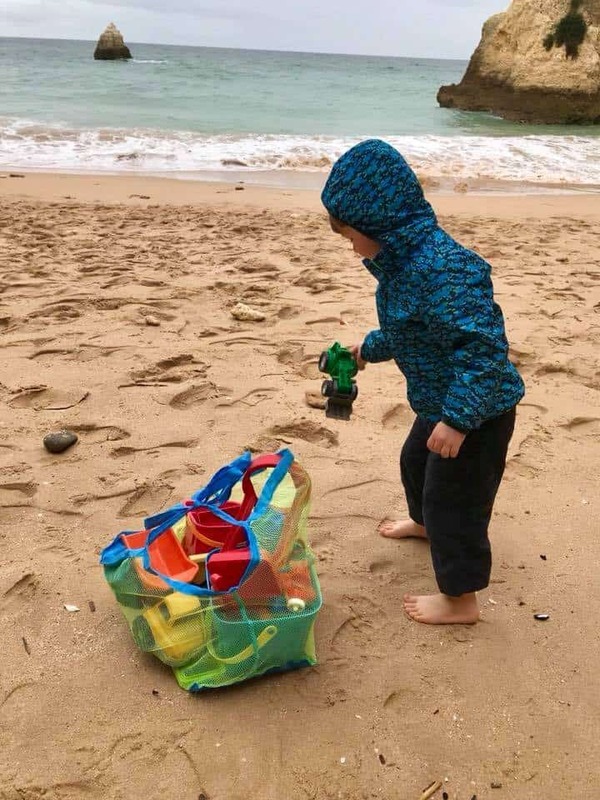 Magnifying glass– We have a larger version from Learning Resources, but also a smaller version that we can easily tuck into his pocket or put inside his backpack (without lots of added weight). Amazon features a large variety, something for every age and interest level. 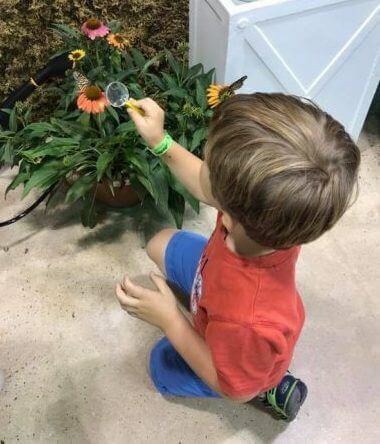 Using a magnifying glass to check out the butterflies. Bug Catcher– This is something new we have added to our items. Now that he is almost 4, he is more interested in bugs and caterpillars. There are quite a few bug catchers on the market, we try to minimize the amount of “stuff” in our lives, so we went with a smaller bug catcher. The Carson BugView Quick-Release Bug Catching Tool is the one we ended up choosing. It is easy enough for my son to operate and the bugs are viewed through the magnifying glass and then set on their way. If you’d prefer something a bit larger or more detailed for older kids, the Nature Bound Bug Habitat is highly recommended. Both pair well together since one is a catching tool and the other is more for observation and keeping as a pet for a while. Usborne and other bug/outdoor books– As an educator, I know the importance of a print-rich environment for children. I also know how important it is for children to engage in books that they are passionate about. I was introduced to Usborne books when my son was born by a friend of mine. I’m not a fan of home-based business, but this is one that I am a frequent buyer. You can also purchase them on Amazon if you’d prefer. The library is also the perfect place to expand your book collection for free! Tools: We prefer real tools over pretend toys. You would be surprised what you can find in the tool section at Home Depot and Lowes. From mini screwdrivers to small tape measures. We pair our son’s tools with some rope and carabiners. If you are just starting out with your collection, this kit includes a hammer, tape measure, wrench, flashlight and more in a handy carrying case. 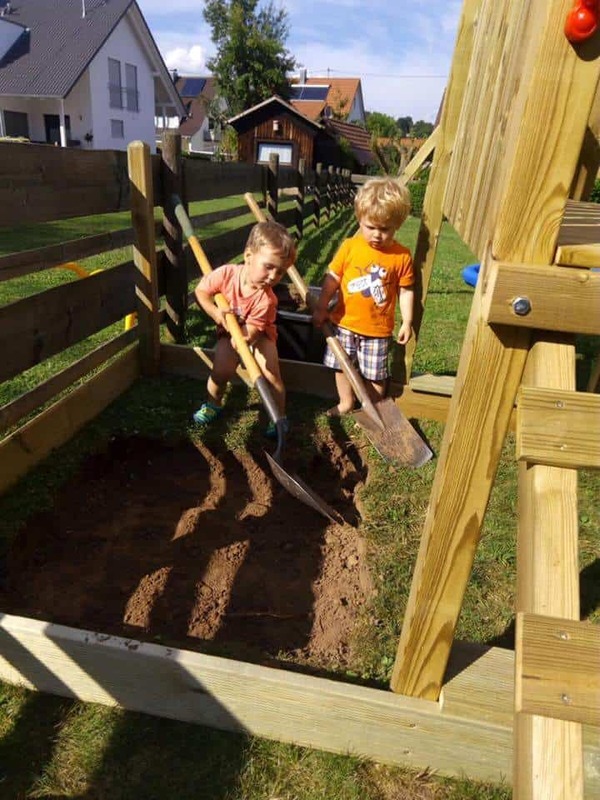 Our son has learned appropriate uses for his tools and we engage him in home projects and outdoor building. We also give him scrap wood to hammer nails, use his screwdriver on screws and more. It has been wonderful for his fine motor skills and occupies him for quite a while! 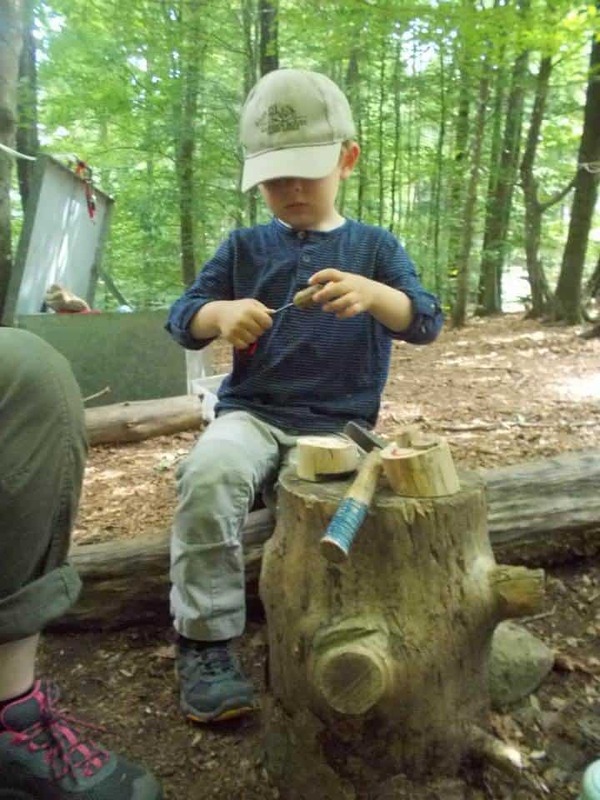 My son using tools in the forest kindergarten. Flashlights or headlamp: Quite a few of the kits I’ve suggested above actually come with a flashlight. There are so many wonderful and kid-friendly flashlights on the market. Just make sure you secure the battery cover so that your child doesn’t remove the cover. Older children can be taught the dangers of batteries. You can purchase a regular flashlight, but we actually prefer the child ones due to their lightweight and easy to operate buttons. Amazon has a ton of different options to meet any budget or age. Scooters: Our son is a huge fan of his German brand Puky scooter. It is easy to scoot, height adjustable and simple in design. The platform is stable enough for beginners. If you are US based, the Micro Mini Deluxe Kick Scooter is a favorite among friends. It has a three wheelbase to provide stability. Once your child masters a 3 wheeled scooter, you can upgrade to a 2 wheel scooter. Balance Bike: If your child is five or younger, consider starting them off with a balance bike. It is basically a bike without pedals. The child uses their legs to propel the bike forward. The bikes are simple and lightweight. The children learn to balance themselves, which is the most important part of bike operation. We also love Puky balance bikes, but again, they are a German brand. Make sure to check their website to order the correct size for your child. 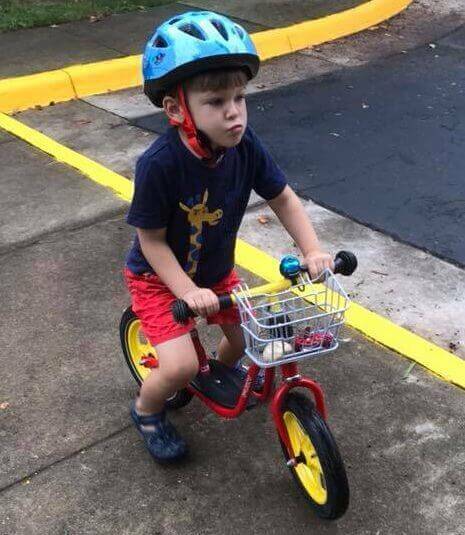 Don’t worry about brakes until they have mastered a simple glide on their balance bike. Amazon has a wide variety of balance bikes for multiple ages and styles. Just watch the weight of the bike, it’s harder to balance with a heavier bike. Strider is also a popular brand and they have a bike that can go from 18 months till 5 years. Learning to ride a balance bike. When your child is ready to move onto a pedal bike, head to a bike store to pick one out. You want to make sure that it is the right pick for your child’s height and weight. Some children are ready as early as 3.5 years old, others need a bit more time to master the balancing skills. We’ve even had friends take off the pedals from traditional bikes and then put them back on when the child is ready. This is best for older children that didn’t learn to use a balance bike but aren’t quite ready for a traditional pedal bike. 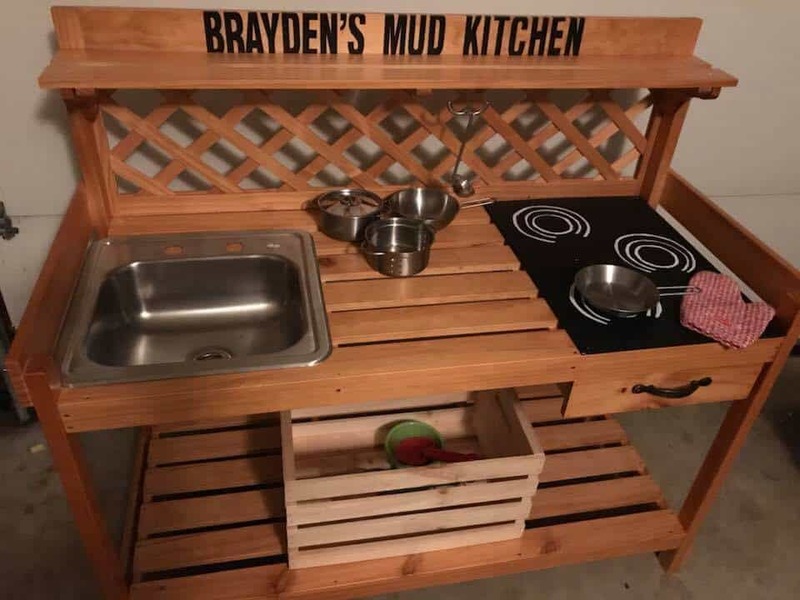 I made this custom mud kitchen for my son to enjoy in our small townhouse backyard. Subscription to a magazine: We are adding this one to the list this year. National Geographic had a sale on their little kid’s magazines., best for ages 3-6 years old. Our son loves to get mail and we knew this would be a gift that keeps on giving. There is also a Kid version if your kids are older. Hiking Backpack: Need a place to put all those fun new tools, then a cute little kids backpack is what you need. Our son has a cute Deuter backpack from his forest preschool days in Germany, but there are so many fun little backpacks. Some come with a place to pack a Camelbak, others feature a rescue whistle. Might be fun to pick this one out with the kids. The Deuter Kikki Kid’s Backpack is adorable with its forest animal designs. Or a less expensive option for those just starting out. 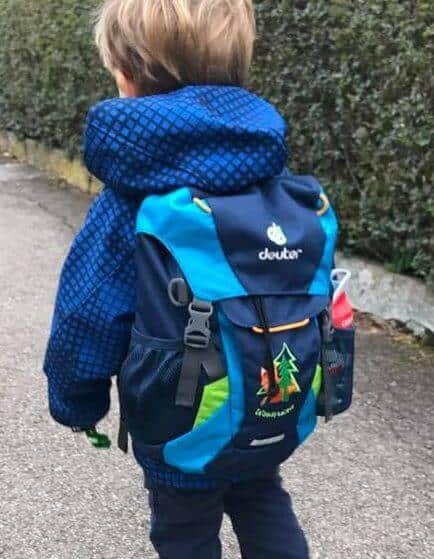 My son wearing his backpack on his way to waldkindi (forest preschool). Nature-based craft kits: Now that our son is getting older, he is able to start enjoying some nature-based kits. Here is one from Creativity for Kids Grow ‘n Glow Terrarium. We think the glow in the dark feature is fun, especially in his nature-based bedroom. Another favorite activity is flowering pressing. You can either do it on your own or grab this kit on Amazon with everything you need to be included (except the flowers of course). Butterfly hatching kit: This one was recommended to us by our preschool. Our son loves the hatching process and his preschool has a garden with butterfly bushes to help attract the caterpillars. We plan on getting this kit by Insect Lore ourselves to try out. We like that it includes a voucher to order our caterpillars when we are ready. With our son’s birthday in November and Christmas in December, it isn’t the most ideal caterpillar season. 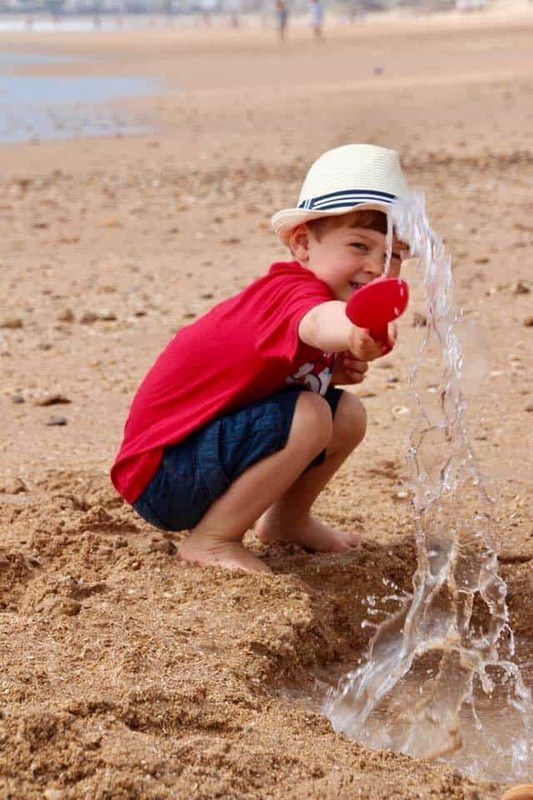 Fruit tree or bush (planted or potted): Do you have a child that loves gardening and watering? Help teach them about where food comes from and the value of caring for a living plant. If you have a large yard, you could plant a tree or bush. Try to find a variety that will bear fruit sooner rather than 5 years from now. Alternatively, you could plant strawberries in a pot or a blueberry bush. 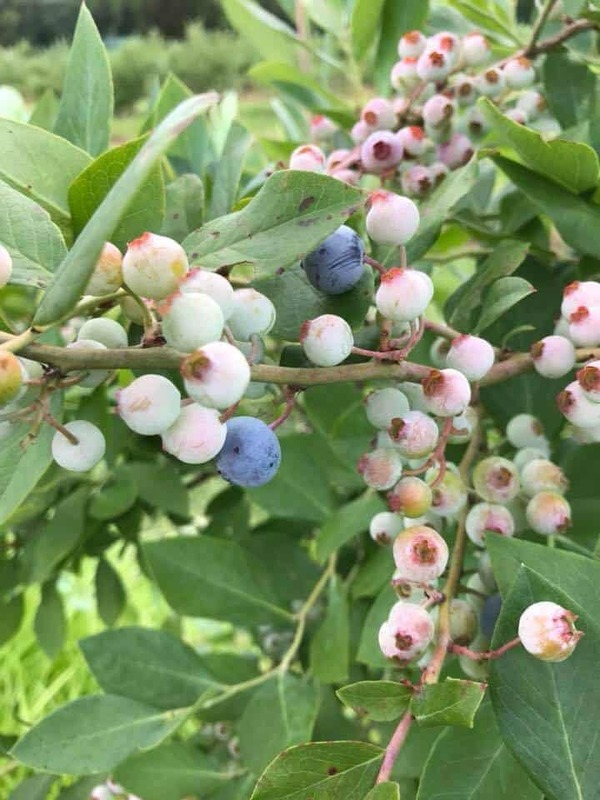 Here is a great article to read about different fruit-bearing varieties and how soon they will bear fruit. Blueberries are easy to grow either in the ground or in a pot on the deck. Kids digital camera: If your children are anything like my son, they love taking photos with our phones. I remember my son stealing my phone to photograph the monkeys in South Africa. The only problem was that the monkeys like to steal objects, we all know how that went. VTech Kidizoom camera is the top in its class for usability, function, and storage. There is a games feature, but you can turn that on or off. Gardening Gear: Our last recommendation is child-sized gardening gear. You can be simple or go all out. Our son may or may not have a tractor with a tilting trailer. It’s helpful when we need to rake up the leaves and take them to the compost. A wheelbarrow is also a favorite due to its multifunctions. 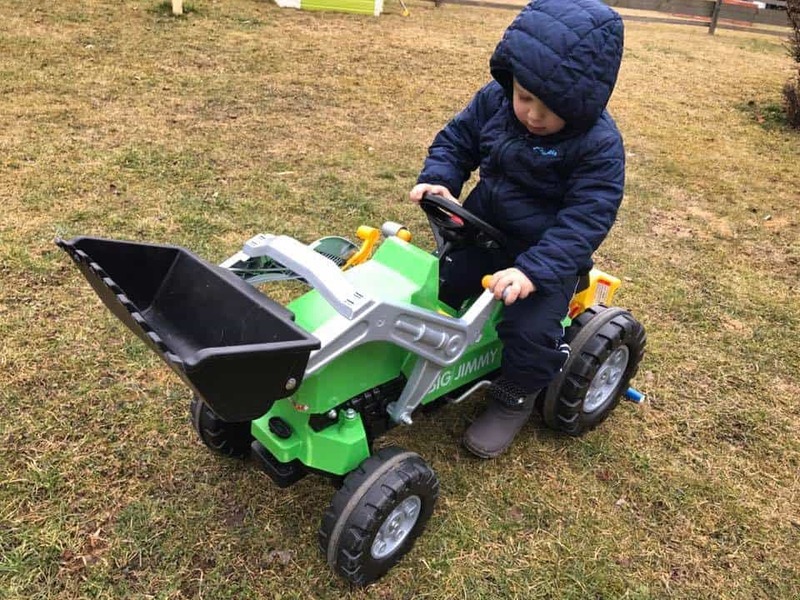 Our son loves to help in the garden, now that he is a bit older, he just uses adult-sized tools, but if you have a little one just starting out, here is a great set. G & F, just for kids has quite a few different sets and they stand up to actual work in the garden. Playing on the beach in Spain. Bag to carry the items (holes are great, less sand). Plus it’s ready to go! Playing on the beach in Portugal. Bucket: we have a couple since there is often water nearby and he seems to always need a bucket of sand and a bucket of water. We’ve actually owned the Hape bucket I suggest for the past 3 years. It’s been all over the world with us and still going strong! 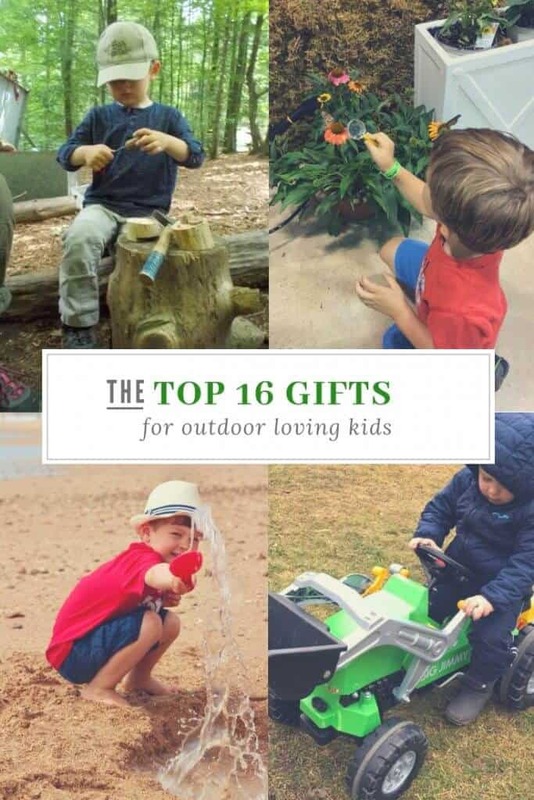 Well, that’s my top 16 gift ideas for children who love to explore nature and play outside. Inspiring kids to go out and play in nature has been proven to support healthy living, improve coordination/balance and develop a lifelong passion to take care of the world around them. 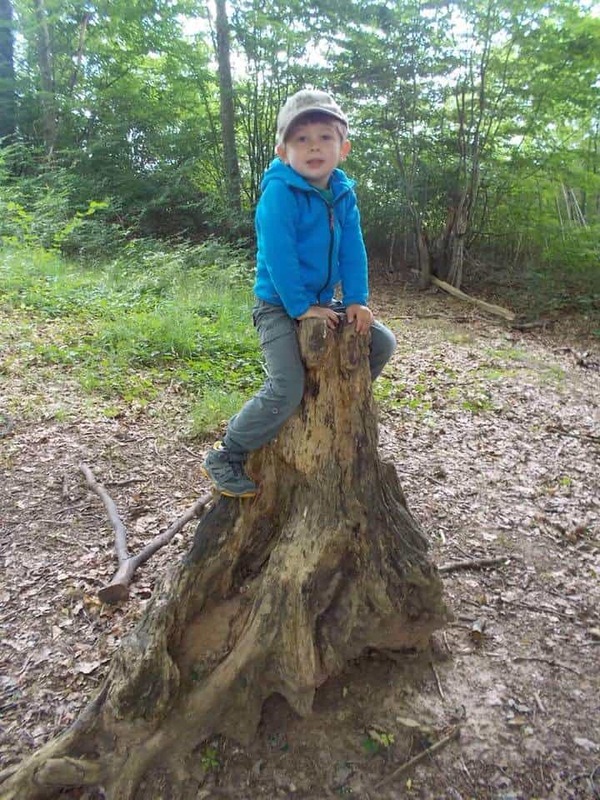 My son sitting on an old tree stump in waldkindi (forest preschool). If you love to involve nature in your travels like us, head to our destinations page to see where in the world we have traveled! Our trip to Croatia was a favorite with the beautiful Plitvice National Park! Disclaimer: Pack More Into Life is a participant in the Amazon Services LLC Associates Program, an affiliate advertising program designed to provide a means for sites to earn advertising fees by advertising and linking to amazon.com and its partners. Amazon and the Amazon logo are trademarks of Amazon.com, Inc. or its affiliates. Thank you for supporting my site and helping me make it the best family travel resource on the internet! It takes hours if not days to write a single post, the links are at no additional cost to the reader, but provide a referral bonus for all my work on the blog. I appreciate the support.